Generally, sports medicine physicians and surgeons push for more rest for athletes at all levels instead of training and competing year round. Especially with the physical demands of pro sports, including the NFL, I have always believed strongly that more time to rest and recover is good for players and their health. But I do think that there are ways that teams and coaches could work with the players in a way that doesn’t jeopardize their safety. I discuss an idea from some prominent NFL coaches in my latest newspaper column. Many NFL coaches want to have more time with their players in the offseason. If you frequently read my medical columns here, you might expect for me to oppose that idea and argue for more rest for players after the season ends. But I think this is a good idea – and one that could improve players’ health. Over the last decade or so, the league has gradually cut the amount of time players are required to practice with their teams. In the most recent collective bargaining agreement in 2011, offseason training was cut by five weeks. Players have negotiated for more time off due to the demands professional football takes on their bodies. Most observers have seen the cuts in offseason training as a positive step. At the recent NFL owner meetings, New England Patriots head coach Bill Belichick pushed for a change. During a session promoting the many successes of the NFL as the league enters its 100th season, Belichick passionately argued that the offseason was an area where the NFL could get even better. Supporters of Belichick’s idea include Seattle Seahawks coach Pete Carroll and Kansas City Chiefs head coach Andy Reid. They believe that more time players can spend with teams in the offseason can help everyone. “There’s so many positive things that could come out of it, in terms of development of young players, helping to really make sure these guys are learning the game and getting them ready for their opportunity,” Carolina Panthers head coach Ron Rivera explained to ESPN.com. As the salaries for top quarterbacks and star players has risen in recent years, many teams opt to keep more players still on their rookie contracts on the roster. These players with little or no NFL experience are being increasingly pushed into starting roles as teams fight to stay under the salary cap. As a result, many coaches feel their teams suffer, with players less familiar with the blocking, passing, and defensive schemes they run. I support teams having more time with players in the offseason, but I would structure it in a way that still allows players to fully recover and prepare for the upcoming season and doesn’t endanger their health. After the Super Bowl, I’d give players two full months off from football. They could work out on their own, but they would have no duties with their teams. Starting in April, teams could start to hold meetings. Coaches could spend weeks teaching their systems and plays. Players could also lift weights with the team. In May, teams could start holding non-contact practices, implementing the plays and schemes taught by the coaches at the earlier meetings. 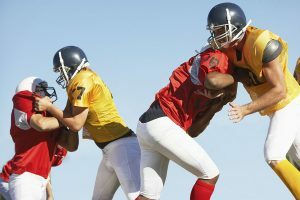 By barring contact, the league holds down the number of head impacts from blocking and tackling to decrease the risk of chronic traumatic encephalopathy (CTE). Then teams would resume normal, full-contact practices in preseason training camp. In addition to the teaching aspect of these non-contact practices, I believe they could actually decrease injuries. Each preseason over the last five or six years, we have seen a large number of tendon and ligament injuries, especially ACL and Achilles tears. When training on their own, it’s hard for players to replicate the fast cuts and moves they have to make against defenders or when covering receivers. Then they do it for the first time in August, and many players go down. By getting players running routes against opponents at full speed earlier, we might better prepare their bodies for the physical demands and actually see these injuries drop. Will the NFL coaches get more offseason time with players? Due to the media attention on injuries these days, especially brain injuries, I doubt the NFL will increase offseason practices. But with the urging from several prominent head coaches, we might at least see teams getting to coach players more in the offseason, which could be a good thing for the game. Note: A modified version of this article appears as my sports medicine column in the April 12, 2019 issue of The Post and Courier. Patriots’ Bill Belichick advocates for more time working with players. By Mike Reiss. ESPN.com. March 31, 2019. Learn 12 qualities of the world's best athletes and coaches that will help you win in your work and life. If you adopt these traits, you will succeed in every aspect of your life, every single day!